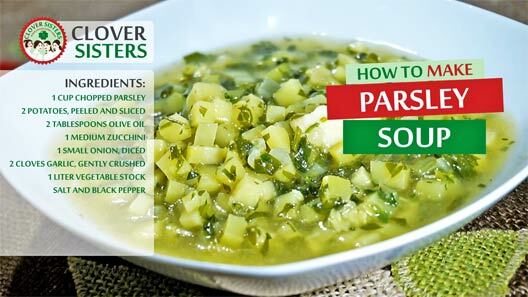 This traditional fresh parsley soup is delicious, healthy, green and vibrantly flavored and it is brilliant, hot or cold. Heat the oil in a saucepan, then add the onion and garlic and fry on a low heat for about 5 minutes, stirring occasionally, until softened. 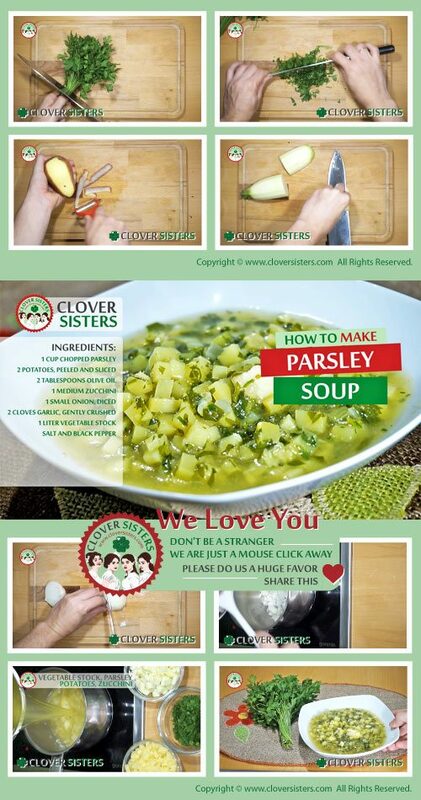 Add the vegetable stock, potatoes, zucchini and parsley, bring to the boil, reduce the heat and simmer for about 15 minutes. Season with salt and freshly ground black pepper to taste.